Sept. 3, 2018, 1:06 a.m. 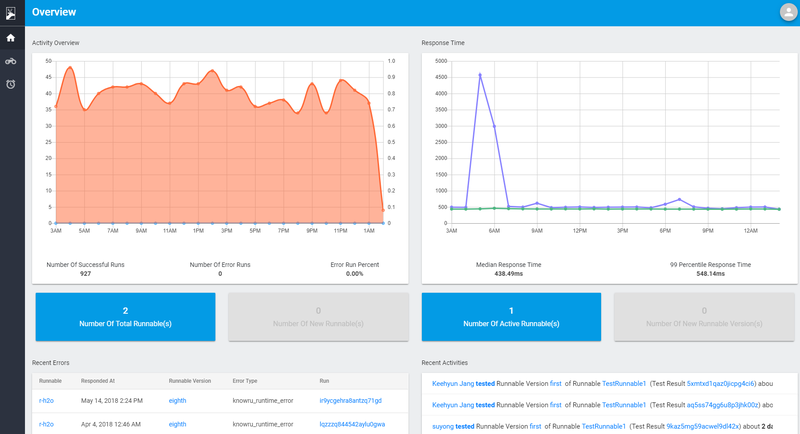 Separated frontend for faster response and better user experience. 2. Restored the "Download CSV Button"
The new frontend was missing the “Download CSV Button” in the Run List pages and we restored it. To avoid not passing tests due to very small numeric differences, added the “Numeric error threshold” field. 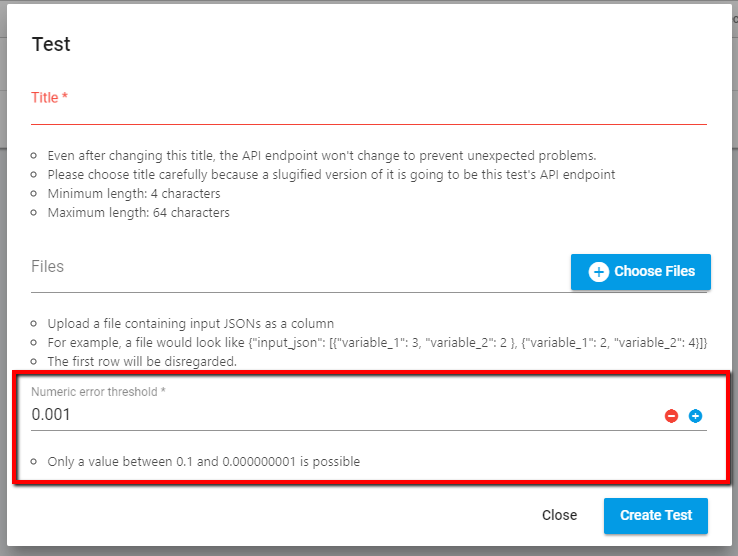 If numbers between expected and actual JSON fields are different but the difference is less than the field, then the platform will judge that the two numbers are same. a) The help text will tell you whether the runnable is in production or not and whether the request will take effect immediately or need a manager’s approval. 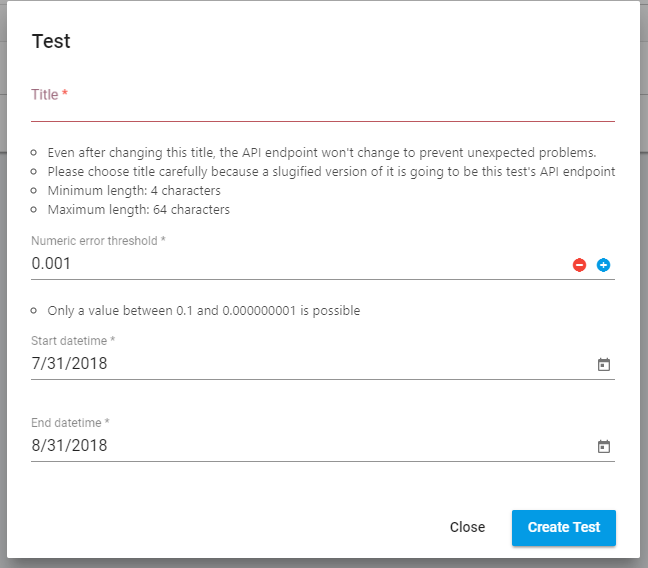 In the Test page, can click “Create Test From Runs” to specify runs of during which period to create test scenarios and create a test directly. Fixed the issue where creating new servers occasionally fails. If any question, please feel free to contact to support@knowru.com.